In Alyssa Brugman's thoughtful novel Alex As Well, the teenaged title character often feels like two people - one female, one male - trapped in the same body. There's nothing like feeling uncomfortable in your own body. For Alex, the struggle is constant. Alex was born intersex, having physical characteristics of both genders. Doctors could not identify Alex as male or female. Alex's parents selected a gender-neutral name for their baby and were made to monitor their child's behavior and report back to doctors, who decided Alex's tendency to be more aggressive than passive indicated the child was more masculine than feminine - and so Alex was raised as a boy. Now Alex is in high school, and she has found the strength within to tell her parents that she would rather identify as a girl. Her father splits; her mother falls apart. Alex stands her ground and starts making decisions for herself. She leaves her all-boys school and enrolls in a new school as a girl. She finds new friends, including a girl she gets a crush on and a boy who gets a crush on her. Though she enjoys their friendship, she cannot bring herself to tell them - or anyone at her new school - the truth about her condition, and fears the day that someone or something will reveal it. The novel is told from Alex's first-person point of view, which occasionally has her talking to her masculine self, her inner twin, who often taunts her and points out the physical differences between her - them - and her peers. Posts from Alex's mother's blog, placed between chapters every now and then, shed light on her struggle to raise her child, revealing facts about Alex's condition and upbringing and the mom's attempts to assist and accept her. The blog posts help make the mother seem a little less harsh, a little less hysterical, and a little more human than she would be had the blog not been included. To date, I've read four Alyssa Brugman novels - Finding Grace, Walking Naked, Being Bindy, and Alex As Well - and I've enjoyed them all. Brugman creates protagonists driven by personal matters who have yet to realize something about themselves. Her realistic storylines draw in readers and her frank storytelling takes them straight to the heart of the matter. After a too-long separation, I finally got to spend some quality time this week with a good friend of mine. This guy has run me -- and all of his other friends -- through the wringer. Bad relationships, health problems and serious injuries, questionable career choices, crises of faith, a child he didn't know he'd fathered, brushes with the law, troubling associations with bad folks... Heck, we were all even convinced he was dead for quite a while. All that aside, he's one of the most genuinely GOOD people I've ever read. Usually when I say I wish a certain book had been around when I was a teenager and that I'd have been smart enough to read it, I'm talking about fiction. But adult nonfiction about learning? Never happened before. Though I'm not that fond of H.P. Lovecraft, I like books with a hint of Lovecraftian style -- novels that leaven Lovecraft's weighty Gothic sensibilities with just enough quirk to let us know it doesn't take itself too seriously. This novel is one of the best examples of the Lovecraftian I've read - and while not technically marketed to YA, it crosses over perfectly. Summary: Harrison Harrison - H², as his mother calls him - is the fifth male of that name in his family - H²5. 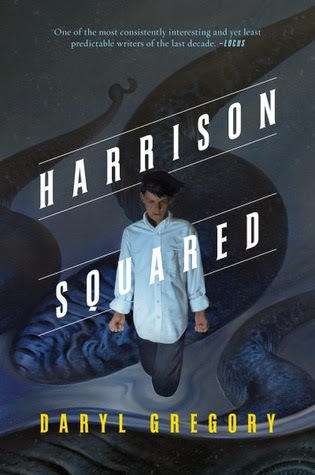 Harrison the Fourth was killed in the accident that lost H²5 his leg when he was just a toddler and their boat overturned somewhere on the California coast, and from that accident, Harrison remembers... tentacles. And rings of pointy teeth. That's entirely wrong, of course. A piece of metal seriously injured Harrison's leg, there aren't any toothy, tentacled monsters in California, regardless of what he remembers...and regardless of the lingering terror of water which it seems will haunt him for the rest of his life. Aside from an irascible grandfather and an incredibly flighty aunt, most of H²'s family is in Brazil and his mother is all he has left. When she's in Absentminded Professor Mode, which is most of the time lately, he fends for himself, which is why he's come along to Massachusetts on her latest research venture. Harrison and his mother are trucking across country to the grim little Northeast coastal village of Dunnsmouth, because there have been sightings of something ginormous in the water - possibly a giant squid. Dr. Harrison's just going to set out buoys at certain GPS coordinates, buoys which will ping back information to the computers at the research center in San Diego. Only, Harrison isn't feeling like Dunnsmouth is an entirely healthy place. The kids in the junior class all look the same - pale with dark hair, like an extensive cult of sun-avoiding vampire zombies. The teachers are another lot of weirdies, the villagers scuttle about bearded and gloomy like something out of Melville or The Rime of the Ancient Mariner, and some weird half-fish dude - no, seriously, he was slimy and he had gills - stole Harrison's comic book. Exactly WHAT is going on in this freaky little town? And, why does his stump hurt here all the time? When Harrison's mother vanishes - the mysterious little town turns deadly. All Harrison wants is some straight answers and his mother back, - NOW - but it will take heart, determination, and the team of total misfits he's gathered to help him. There's a lot to like here: The obvious ODD in this novel just sells it for me, from the tentacle-festooned cover onward. It hooks the reader, and drags them seamlessly beneath waves of sheer weirdness. Strange, strange people - with characterization that liken them to sea life - descriptions of the grayish little town with its clammy weather, depressing architecture and this utterly bizarre school - I was taken in immediately. I loved the dry humor, the references to Dr. Harrison's Terena ancestry and H²5's biracial "Presbyterian"-Terena ancestry (according to Harrison, “like 'eggshell' and 'ivory,' 'Presbyterian' is a particular shade of pale”) being cause for concern in the very white, very backwards Massachusetts village - an oppositional poke to the racism that shows up in H.P. Lovecraft's work - in fact, in general, racists become a little joke poked at repeatedly. It's interesting how Harrison's fatal flaw - a rotten temper - works for him and against him. He's truly a take charge of things in his own life, and make them work kind of character. Harrison's voice is confiding, snarky and bewildered by turns. He's slightly delusional in the beginning of the novel, but unlike many YA heroes, he's never self-deceiving. I love him as a character because he KNOWS there's stuff going down in Dunnsmouth, and he's not afraid to look at it and find out. Also, because he's hilarious. To wit: "Mom once said Selma wasn't a woman but an ad in a women's magazine: glossy, two-dimensional and smelling like a perfume insert." Snark! The zingers are a great deal of fun, even the dumb science jokes and the manga references. Each chapter begins with a piece of Coleridge's "The Rime of the Ancient Mariner," which is another lovely thing that will make readers feel smart - especially if you were a reader assigned this for school and never enjoyed it before - you will now! All told, this novel is sheer enjoyment. I received my review copy of this book courtesy of Tor. After March 24th HARRISON SQUARED by Daryl Gregory will be available as an ebook or at a brick-and-mortar independent bookstore near you. As Adam and his classmates are working in the school's computer lab, all power goes out. Everything electronic is dead - no computers, no cell phones, no cars. No cars that is, unless you happen to own a car built before they were run by computers. As Adam and his neighbors start to realize just how widespread the problem is, they realize that things could get really scary really quickly. I thoroughly enjoyed reading this book! Walters does a great job of detailing the downward spiral of civilization as people become more and more desperate for all things required for life. It really gets the reader in the frame of mind for what it would be like and what we would face if we were to lose power indefinitely. 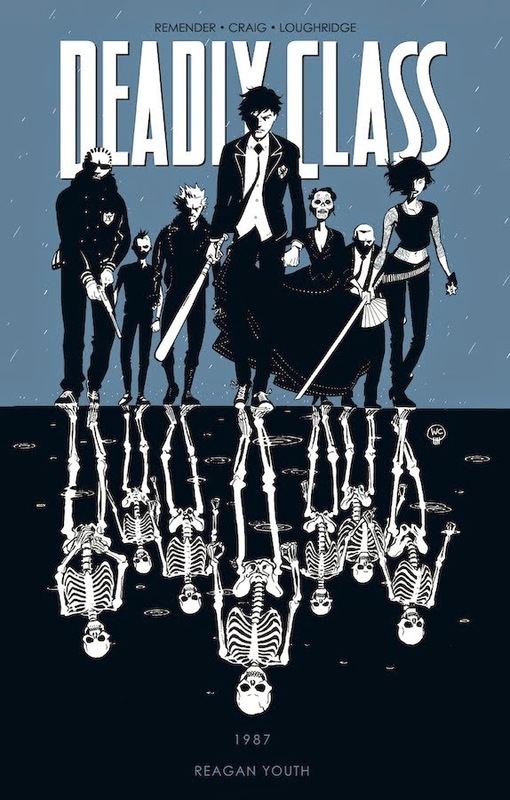 I highly recommend this title to those readers that enjoy survival stories and post apocalyptic worlds. Marcus Lopez is going to assassinate the President of the United States. That's the plan, at least. In the meantime, he's on the run from a home for wayward teenagers, has no money, no family and no friends. It's safe to say that Marcus has a lot of issues. Why is he on the run, you ask? Let's just say it involves a lot of pent-up anger, a nail bomb and the aforementioned plan to off the commander in chief. It's San Francisco, 1987, and Marcus has indirectly lost his parents to Ronald Reagan's cuts to national mental health funding. Consumed with a desire for revenge, Marcus lives under bridges, freeways and anywhere he can in order to hide from the authorities while he tries to figure out a way to make his assassination plan come to life. Technology has created avenues for exposure and at times overexposure. At times this can lead to making and breaking reputations. There are armies of hackers across the world who live by finding incriminating information about people from all walks of life and then blackmailing or extorting them. Celebrities usually have the resources to fight off these allegations but the average person does not. 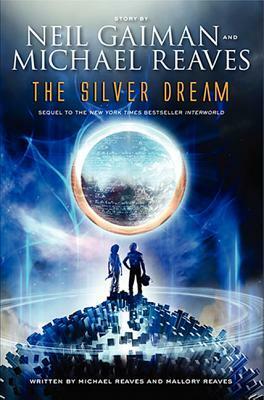 "The Silver Dream" is the long-awaited follow-up sequel to Neil Gaiman and Michael Reaves' "Interworld" novel from 2007. Interworld was the story of a boy named Joey who always gets lost. One day he gets so lost that he walks right out of his world and into another dimension. This is a series for boys who love adventure novels. Fans of The Lightning Thief and Harry Potter, Artemis Fowl and Ender's Game will enjoy this series the most. It reads like a movie - because it was originally conceived as one. It is action-packed, funny, and told from a typical teenage boy's perspective. The science fiction details get a little confusing at times, but it just adds to the cool factor. While it isn't the best plotted or well-written sci-fi adventure, it is definitely a fun and fast read. What would you do in the name of art? Work hard? Stick to your principles or break them? Would you make a deal with death? That's just what happens in the new magnum opus by Scott McCloud, The Sculptor, which starts with a drunken young sculptor named David Smith in a bar, talking with his "Uncle Harry". He trades his life for 200 days of amazing sculpting skills, where he can make anything he wants using only his bare hands. From the start of the book, we get interesting visual points of view, but I confess it took me a little while to get used to them or become fond of the technique. We spend as much time looking at details inside a diner - the soda jet, the ketchup, David's hands, the fork on his plate - as we do at David, and that continues to hold true. There's also a very real question about what is happening - whether the short scene at the start renders the entire thing a dream, or whether what follows is reality that catches up much, much later in the book. But I digress. David turns out to be a not-entirely-sympathetic main character, which makes him that much more believable, even as the otherworldly plot unfurls. He also is full of interesting principles, for which he's more than willing to get up on his soapbox (metaphorically). Principles about not selling out, and about what is and is not permissible. In addition to principles, there are lots of moral and ethical issues in this humongous (496 pages!) 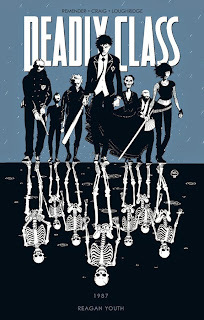 graphic novel, including issues of what is and isn't important in life and in art, and what constitutes a life at all. Speaking of life, and getting back to the plot, David Smith finds love and a real life and more before he loses it all. Or does he win? Maybe it's all a matter of perspective. Maybe what's real and what's fantasy is perspective. Maybe you should read it so you should find out what your perspective is. One of these is not a landmark Supreme Court case. But while Fat Boy vs. The Cheerleaders is not the name of a Supreme Court case, it is a supremely entertaining (my work is done here––thank you for reading) account of Gardener et al v. MLA Independent School District, or How I Learned To Stop Drinking Soda And Found My Own Name. When I saw the title of this third book in Maggie Stiefvater's series the Raven Cycle, I thought the main character, Blue Sargeant, was going to be introduced to somebody named Lily. "Blue, Lily. Lily, Blue." This is not the case. The words come from an eerie song chanted by a spooky ancient being entombed in the bottom of a Virginian cave. Much better. I haven't been subtle in my gushing love for this series thus far. You can read my review of book one, The Raven Boys, and of book two, The Dream Thieves. 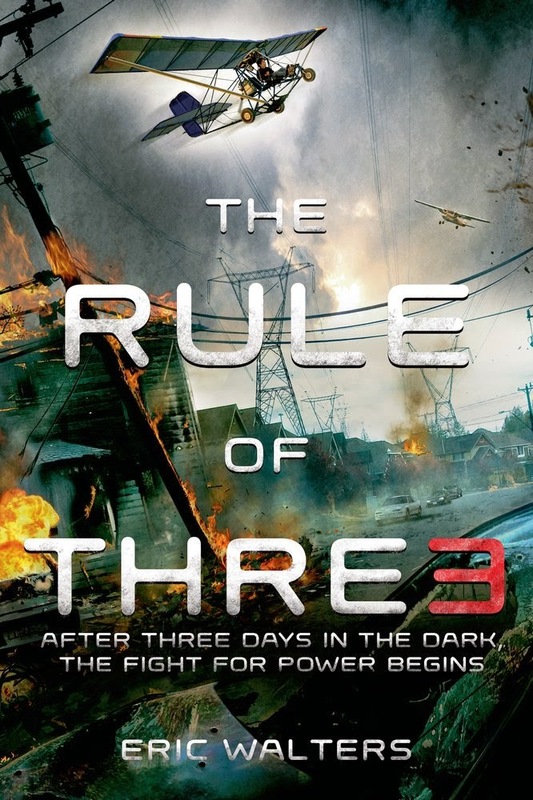 The third installment doesn't disappoint. If you haven't read the first two, and want to avoid all spoilers, you should leave now. I will, of course, try to keep the crucial information to a minimum, but things slip out. Blue, a child raised in a home by her psychic mother and mother's psychic partners, has by now grown close to all the Raven Boys as they continue their search for the illusive buried Welsh King, Glendower. With Blue's mother vanished underground and possibly in trouble, Blue's needs the boys more than ever.